We are comprised of many types of entities from large, national corporations to small, local businesses. We are all part of the title insurance industry in one form or another, and as part of the title insurance industry, regardless of the company for which you work, or whether you are an agent or an underwriter, we must have a common goal, to help our industry be successful. Each year on Lobby Day ILTA members travel to Springfield to discuss pending legislation with our state legislators. ILTA members review bills and make determinations regarding support for or opposition of those bills that affect the title industry. By becoming an active member of ILTA, you can have a voice in these decisions. Additionally, ILTA members can volunteer on Lobby Day and meet with their legislators, helping them understand our industry and why ILTA would like them to oppose or support a particular bill. ILTA provides a training session prior to visiting the legislators. This is the time when all the bills are discussed with the volunteers, including a list of talking points, so all members are comfortable discussing the legislation in the meeting. This year Lobby Day is April 18. You can participate by CLICKING HERE. Please note if you have already registered for Lobby Day, confirmations were sent out last week. If you did not receive your confirmation, call the ILTA office immediately. (217) 528-5230. If you cannot attend Lobby Day, then you can contact your legislators in their home offices. You can help them understand what we do in the title industry and how their vote can either help or hurt the industry. Being able to develop a relationship with your legislator is like striking gold and it’s something that everyone can do. The first step is to determine who your legislator is. Click on the link to find out who they are. It includes all of their contact information. Once you find out who your legislator is, build a relationship with them. We are their constituents. We need to let the legislators know what we need from them and what they can do for us. We all can have an impact on the direction our industry is going, but to do that we must take an active role in advocating for ourselves and our industry. *ILTA has a new legislative alert system called Muster. Members have received information on how to register on Muster and we are asking all members to sign up. This quick and easy system allows ILTA to send to you legislative alerts with a bill specific pre-filled message to your State Senator and Representative. The system uses your home address to geo-track to your specific legislators. 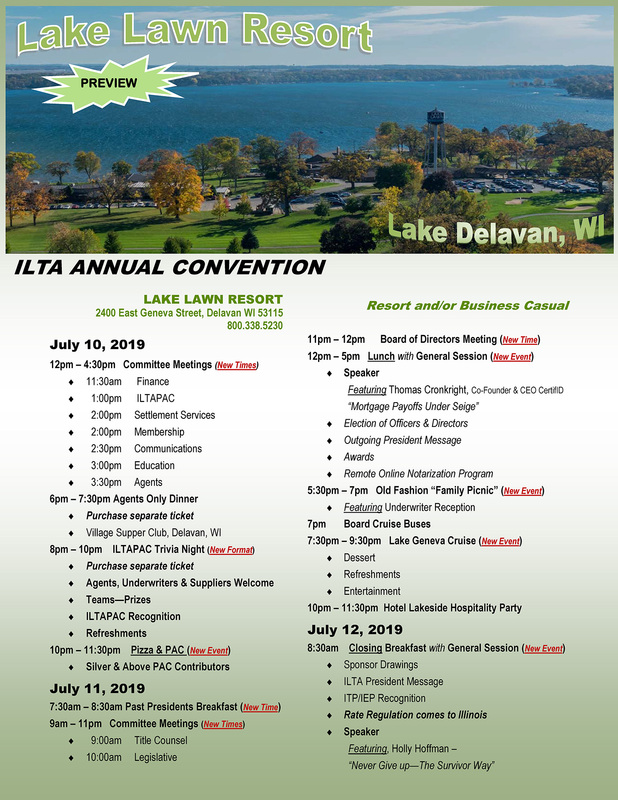 Call the ILTA office if you have any questions.